A wonderful chance to purchase 5 plus acres! House sits far off the road, offering plenty of privacy & comes with separate workshop/tool shed. This house has great bones & offers an opportunity to renovate to your specific taste/needs! 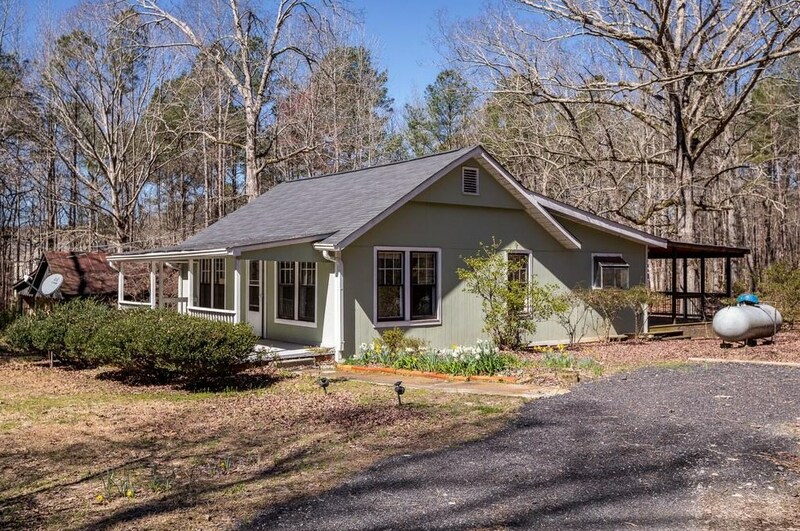 Long driveway, large rocking chair front porch, fenced in yard & plenty of room to expand! Exterior has been recently updated & has spacious back deck. Close to Welcome All Park! Amazing investment opportunity! Driving Directions: From South Fulton PKWY, turn right onto Mason Rd, Right onto Scarborough. ****Look for two painted green post around the mailbox**** Numbers not on mailbox. 4585 Scarborough Road, College Park, GA 30349 (MLS# 6515691) is a Single Family property with 2 bedrooms and 1 full bathroom. 4585 Scarborough Road is currently listed for $135,000 and was received on March 07, 2019. Want to learn more about 4585 Scarborough Road? Do you have questions about finding other Single Family real estate for sale in College Park? You can browse all College Park real estate or contact a Coldwell Banker agent to request more information.